Whether you're an experienced rider, just starting out or you're looking to treat someone special; we've got everything you need to create the perfect cross country colours. 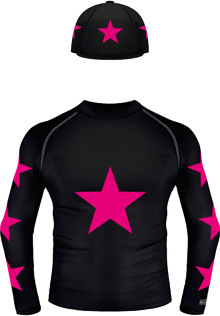 Once upon a time personalised riding wear meant arcane forms, long wait times and disappointing results. We knew there had to be a better way, so we created CustomXC and our critically acclaimed website. Now it's all about stunning designs, professional quality, minimal waits and fair prices. Our powerful yet easy-to-use design applications make creating your colours simple and fun. By providing the design tools needed to create a unique look, combined with our premium materials and construction, we can build anyone their perfect cross country colours. Our industry leading technology is often imitated, but never equalled. We listen to riders. We listen to teams. We ride ourselves. Our experience and the feedback we receive goes into each one of our creations. That's why we make products that enable you to stand out from the rest, or simply look the part. Use modern performance fibres, or classic well-loved materials. Add your choice of text, shapes and designs, or nothing at all. And that's why our colours are worn everywhere from grassroots to 4* events. We manufacture our products using an exacting construction process and only the finest materials. This means we can take your designs and create stunning professional quality riding wear, enabling you to feel comfortable and perform to your best. As a bonus, our unique process means even the most sophisticated designs can be ready in just 5-10 days, often sooner! We are a small group of talented people from various industries - including fashion, technology, sports science and equestrianism - brought together by a passion for riding. 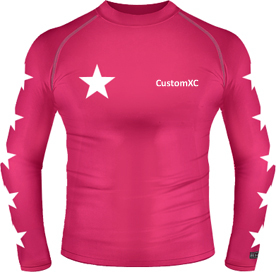 We have been using our shared knowledge and experience to create personalised XC colours for our friends and family since around 2008. From there we have grown to become the world's leading brand of personalised riding wear, producing thousands of sets a year for riders, schools and teams all over the world. Our friendly team are always on hand for a design consultation or to answer your questions. Want to stand out even more? We can make you a fully bespoke design. Need your new colours for a big event? We are happy to build towards towards dates of competitions and special occasions. Need a new kit for your club or school? We specialise in team kits and can help you every step of the way.